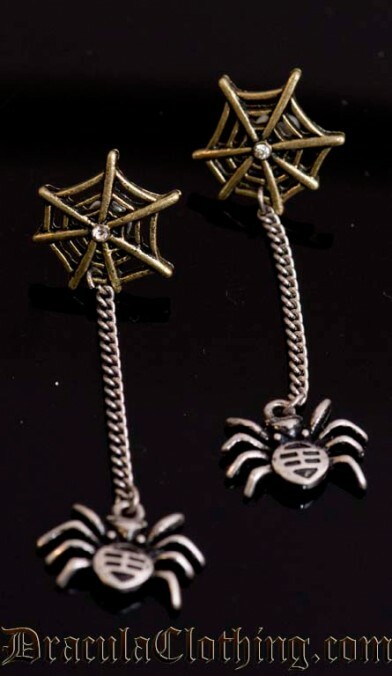 Earrings with silver-colored spiders and bronze-colored webs with a small rhinestone in the middle. 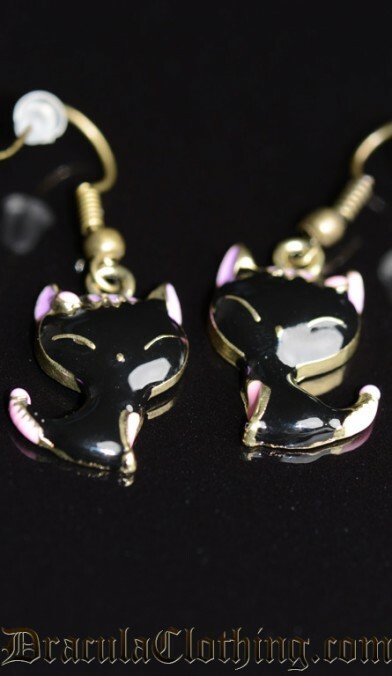 They would look great for both a steampunk or a goth look. We ship this product from Prague the first working day after you order it. The total shipping time is normally about one week, but it depends on the postal system. 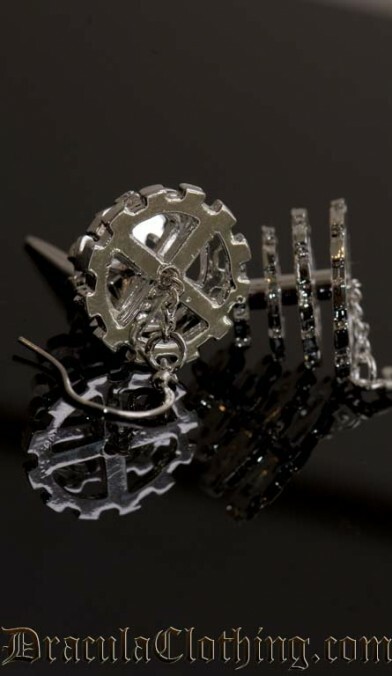 Steampunk earrings in the shape of silver-colored cogwheels. The hooks are made of silver. The price is for a pair of earrings (2 earrings). 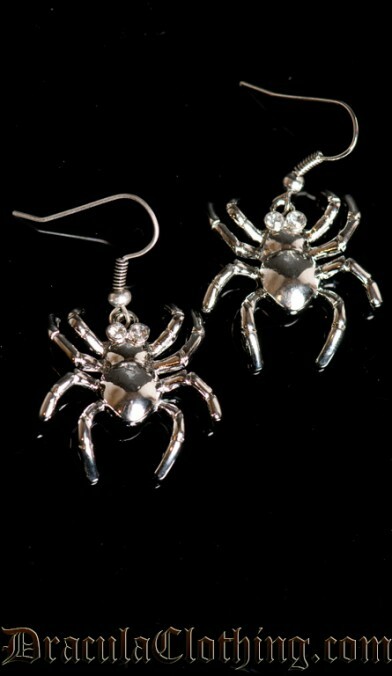 These great earrings in the shapes of spiders are of course nickel and lead free, like all our jewelry.